Right of Light Consulting is a leading Chartered Surveying practice that specialises in rights of light and planning matters. Established in 2003, we owe gratitude to our clients and industry colleagues, many of whom we have grown alongside. We pride ourselves on our broad project portfolio which covers domestic extensions and small housing projects as well as landmark buildings and major regeneration schemes. Our values define who we are. They guide us in everything we do from key business decisions to day to day activities. We are committed to employing and nurturing the best people. We value the enthusiasm and expertise they bring to every project we work on. 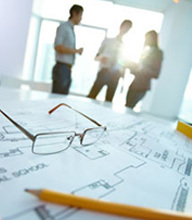 We work for a range of clients including private homeowners, architects, commercial property developers and large multi-national, blue-chip organisations.